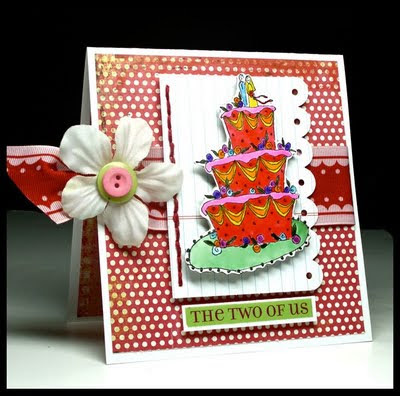 2 Sketches 4 You is excited to be participating in World Cardmaking Day on October 3. We would love you to join us on that day for a 2S4Y Blog Hop. There will be tons of inspiration, awesome cards to be admired and of course PRIZES to be won! We hope to see you all this Saturday at 2S4Y for World Card Making Day - it is going to be amazingly fun! fabulous wedding card Kazan, love the bright colors! I love, love, love this card Kazan! I can't wait for world card making day! Such a gorgeous and totally different wedding card. Just love it.